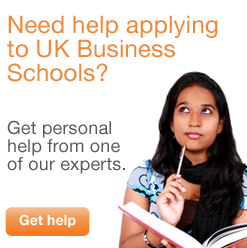 Fees for UK business schools are generally very high, especially for postgraduate courses such as MBAs. Business schools usually justify the high fees charged with the students’ potential earning opportunities during both summer internships and permanent jobs after graduation. However, if you stil feel that you don't have enough money to study at a business school in the UK, don't worry, there are a number of ways in which you can get help. SimpleTuition is a great website for searching and comparing student loans, scholarships and other financial aid. Scholarships directly from the institution: Schools realise that most students will face a heavy financial burden and so offer financial support through a combination of loans and scholarships available to international students. Even before you submit your applications, check the fees section of your chosen institutions’ official websites for suggested funding opportunities. Sponsorship from your current employer: If you are a full-time employee, check if your company can sponsor you on a full-time or part-time business programme. Companies see these sponsorship schemes as long-term investments, although they usually benefit postgraduate students only. Schemes and scholarships from outside institutions: There are numerous more general scholarships offered to international students coming to the UK to study a business course. See the list below to find one that suits you. The most important thing to remember when researching and applying to any source of funding, is to allow yourself plenty of time to do so. Scholarships are very competitive and so you may not succeed with the first one you apply to. You can find more information about the scholarships at the most popular business schools for international students in our directory of top UK business schools. Aga Khan Foundation: Scholarships for Master’s or PhD students from Bangladesh, India, Pakistan, Afghanistan, Tajikistan, Syria, Egypt, Kenya, Tanzania, Uganda, Mozambique, Madagascar, France, Portugal, UK, USA and Canada. The Anglo-Jewish Association: Financial aid to Jewish students in financial need to enter further education or studying for full-time degrees at universities in the UK. Arab-British Chamber Charitable Foundation (ABCCF) Student Grant: Nationals of an Arab League State with residency in their country can apply for grants. Applicants should not be over 40 years of age and must have UK student visa status. Association of Commonwealth Universities - DFID Shared Scholarship Scheme: Open to student from developing commonwealth countries wishing to study in the UK. Candidates should be under 35 and have been previously awarded a first or upper second class degree. Booz & Company Award Programme for Women in Europe: Any female enrolled at London Business School who has a strong interest in working in one of Booz & Company’s European offices for the summer. Applicants must be fluent in English as well as in the language of the preferred office. British Chevening Scholarships: Scholarships are given to students from all over the world and either fully or partly pay for international students studying postgraduate degrees in the UK for a year. It is aimed at students with great potential to become future leaders in their profession. British Federation of Women Graduates : Scholarships for women in their third year of doctoral studies or part-time students at an equivalent stage of studies who are registered at a university in England, Wales or Scotland (not Northern Ireland). Commonwealth Scholarship and Fellowship Plan (CSFP): Scholarships are awarded to citizens of Commonwealth countries and pay for travel, fees and living expenses for postgraduate students for one to three years. The scheme is aimed at students who are expected to make an important contribution to their home country after studying in the UK. Commonwealth Shared Scholarship Scheme: This scheme is from the same organisation but is specifically designed for students from developing Commonwealth countries who want to study in the UK but cannot afford to. The Ford Foundation International Fellowships Program: Scholarships for advanced study awarded to exceptional individuals that must be resident nationals or residents of Brazil, Chile, China, Egypt, Ghana, Guatemala, India, Indonesia, Kenya, Mexico, Mozambique, Nigeria, Palestine, Peru, Philippines, Russia, Senegal, South Africa, Tanzania, Thailand, Uganda, and Vietnam. Fundacion Eduarda Justo: Scholarships available for Spanish citizens (preferably from Almeria) who would like to pursue a postgraduate degree, especially an MBA, in top universities around the world. International Federation of University Women : All applicants must be women graduates and either a member of one of IFUW's 72 national federations and associations or, if living in a country where there is not yet a national affiliate, an independent member of IFUW, or an international individual member of IFUW. All candidates must have obtained admission to the proposed place of study prior to applying to IFUW's competition. Kodak Scholarship Program: These highly competitive awards are given to full-time undergraduate or graduate students demonstrating superior professional filmmaking production skills and creativity along with academic success. Participating worldwide colleges and universities that offer a degree or diploma program in film, film production, or cinematography may nominate up to two students each year for consideration. Eligible institutions are colleges and universities in the following countries: Argentina, Australia, Austria, Barbados, Belize, Benelux, Bermuda, Bolivia, Brazil, Canada, Chile, Colombia, Costa Rica, Czech Republic, Dominican Republic, Ecuador, El Salvador, France, Germany, Guatemala, Guyana, Haiti, Honduras, Hong Kong, Hungary, Italy, Jamaica, Malaysia, Mexico, Netherlands Antilles, New Zealand, Nicaragua, Panama, Paraguay, Peru, Philippines, Poland, Puerto Rico, Romania, Russian Federation, Singapore, South Africa, Spain, Surinam, Sweden, Switzerland, United Kingdom, United States, Uruguay and Venezuela. Marjorie Deane Financial Journalism Foundation Studentship: Studentships to support successful applicants who have been accepted to do a Masters degree in economics, finance or a similar subject at a leading British university or business school. The Richard Metzler and Roland Berger AMCF Scholarships : Scholarships for students currently pursuing a Masters at a leading institution of higher learning. Rotary International Ambassadorial Scholarships : Scholarships for 1 academic year abroad for students that have completed at least two years of university. Samsung Electronics Global Scholarship: The scholarship is offered to all final year undergraduates in areas of Business studies, Languages, Economics to pursue a MBA Degree at the Graduate School of Business, Sung Kyun Kwan (SKK) University - a newly established business school in collaboration with Samsung Group and MIT Sloan School of Management in Seoul. Scholars will have to sign a four year contract to work in Samsung Electronics (two years in HQ, Korea and two years at the regional headquarters/overseas subsidiary) upon completion of the Master Program. Internship will be offered at Samsung Electronics in Korea and the regional headquarters during Summer & Winter Vacation.